Absen was a key technology provider at the second annual LDI: Live Outside event during the LDI Conference and Tradeshow which was held at the Las Vegas Convention Center, November 13-19, 2017. Absen’s new X3v LED solution was utilized to make the HD center video wall for the outdoor staging area where various technology displays and demonstrations will take place. 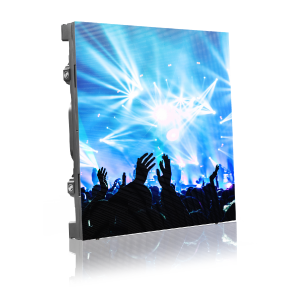 Launched at InfoComm this past June, the Xv-Series has already made a major impact on the rental and staging market with large investments by Nationwide Video, ABCOMRENTS, Freeman, GoVision and Alford Media. Designed with time saving features like easy installation and tear down, quick-to-swap power/data core and front and rear serviceability that give clients an amazing return on investment, the Xv-series also provides: Creative curvability with integrated ±5° adjustable side locks, higher grayscale at a lower brightness levels, flicker-free 3840Hz refresh rate and lightweight, weather resistant design with universal, simple to replace modules. The Absen booth featured two towering LED walls featuring the X2v and the M2.9. stretched from near the floor to the thirty-foot ceiling. The M2.9 and the X3v were also featured in Absen’s Hands-on Experience area where attendees were able to interact with the panels to see all the features and functions both series provide.